Fabricated steel covers are manufactured from rolled steel which is then cut and laser welded offering the ability to design and manufacture to individual customer requirements. Many standard steel covers are available, plus the ability to custom design steel covers to suit customer requirements also allows for virtually an unlimited array of configurations, sizes and options. At Civils and Lintels we work with EJ Peter Savage and Fabweld Steel Products to bring you a comprehensive range of steel manhole covers and frames. Our range includes prestressed steel covers, recessed trays, gratings and fabricated security products. EJ 50 Series Prestressed Steel Cover – Manufactured from 25mm Deep Pressed Steel with a Pressed pattern lid. Typically used for Domestic Driveways & Application Areas with infrequent vehicle access. Manufactured to standard sizes only to enable economic design produced with a single seal non-lock and double seal locking system. EJ BSI Kitemarked Manhole Covers – Hinged, solid top and recessed options are available. 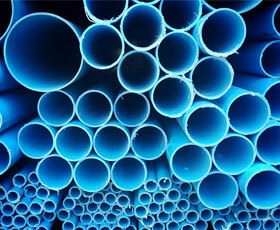 A15, B125, C250 and D400 class are produced with 45mm or 135mm deep frames depending on the application. manhole cover and frame. The cover is fitted with a self-locating safety stay bar and a lock and lift device. Supplied as single seal standard, double seals are available. Hot dipped galvanised finish to BS EN ISO 1461 as standard. FSP FAB TRAY™ Structural Infill – An internal recessed cover for infilling with concrete/screed, available for a wide range of internal and external applications. Internal covers are ideal for use in public areas such as shopping malls, schools and sports stadiums. FAB TRAY™ can also be manufactured from high grade Stainless Steel for use in highly corrosive and chemical environments such as Swimming Pools. External covers are typically manufactured to withstand heavy loadings and are ideal for use in Fork Lift Truck areas, dockyards, and other heavy industrial environments. 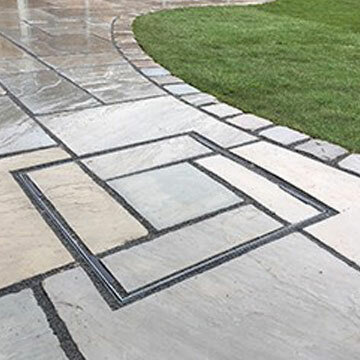 FAB PAVE™ Non-Structural Infill – This recessed cover is used for infilling with Block Paviours or flagstones, suitable for external use and is ideal for all paved environments. Typical applications are retail parks and public areas of high prestige. FAB PAVE™ is load tested unfilled in accordance with FACTA guidelines. This product range can also be manufactured specifically for slow moving heavy traffic. FAB TOPS™ – This solid steel cover is fabricated with a chequer non-slip pattern, a functional product comprising of a frame and solid steel cover providing access to an underground system. These are generally functional covers designed to withstand slow moving heavy traffic often used in service areas, dockyards and airports. A specialist range of pressure tight covers are available, designed to withstand force from beneath the cover and ideal for flood management applications. Where manual handling is a concern we can supply hinged assist lift covers designed for quick access by a single operator. FAB TOP™ S50 Beamless Solution – A unique design providing solid top units without the requirement for support beams to be positioned under the covers. This enables the contractor to make substantial time savings on their installation and is especially suitable for modern composite or plastic chambers. It is available in FACTA B and FACTA D loadings up to a maximum span of 1200mm. FAB GRATE™ – Fabricated gratings are generally used for drainage solutions and the design can also be applied for Walkway flooring and in applications where venting is necessary. FAB GRATE™ products are manufactured in a wide variety of designs for both public and industrial areas. FAB SECURE™ -The FAB SECURE™ is a range of fabricated security products for critical asset protection. Asset protection is a top priority for the utility and water industry and the range includes access covers, doors, cabinets window bar sets and louvre vents.